Please call or email to inquire about rentals that are available during the off season. A Boater's Dream is located along the deep waters of the Assateague Channel with 2 bedrooms, 1 bathroom, centrally air conditioned, and is the perfect spot for fishing, boating, bird watching, soaking up the sun and the salt air breezes. 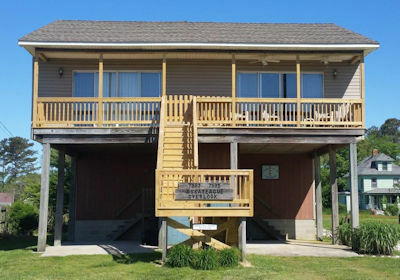 This condo sleeps up to 4 people with 1 Queen, and 2 Twin Beds, and includes a 21' boat slip. Rest & Relaxation await at A Boater's Dream. Get ready to enjoy an All Decked Out vacation! All Decked Out is a 4 bedroom, 3 full bath, central air conditioned, waterfront home that sleeps up to ten (10) people with 1 King, 3 Queen,1 Double Futon. Nestled along the Assateague Channel you can enjoy panoramic views of Assateague Island, and the Assateague Lighthouse from almost every room in the house. The expansive balconies offer relaxation and cool salt breezes on even the warmest of days. This home offers an open floor plan, fully furnished kitchen that is a chef's dream, dining room with ample seating, spacious master suite, and much more. We invite you to leave your worries and cares behind, and enjoy an All Decked Out Vacation. Bayberry is an inviting, 2 bedroom, 2 1/2 bath, centrally air conditioned, canal front townhome that sleeps up to 6 people with 1 Queen, 1 Queen sleep sofa, and 2 Twin beds. Enjoy the fresh salt air, beautiful sunsets, and watching wildlife from the first floor deck, or the second floor balcony which has a view of the Chincoteague Channel. If you enjoy being outdoors, you will love crabbing and kayaking the canal from the shared dock. We invite you to come and enjoy a relaxing island vacation at Bayberry. Beacon View is a beautiful 4 bedroom, 3 full bathroom home located on the deep water of Assateague Channel, that sleeps up to eleven people. This vacationer's dream has a gorgeous view of Assateague Island and the Lighthouse and includes a private deep water boat dock for fishing, crabbing or just relaxing and enjoying the breathtaking sunrises. You may even catch a view of the ponies as they graze on the salt marsh of Assateague Island. Come and enjoy this vacation getaway and all that the islands have to offer. 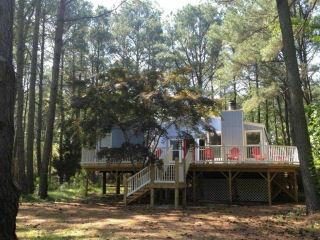 Blue Haven is a cozy Chincoteague Island cottage, perfect beach getaway for family, friends & couples! Large fully equipped kitchen with all cooking and eating utensils, pots/pans, cleaning supplies, cable, dvd player, stove, full size refrigerator, microwave, coffee pot, hi-chair toaster, washer/dryer, central air. Really large family-size bathroom. 2 Bedrooms (1 with two Double beds, 1 with a Double and a Twin), sleeper sofa (double sized)...plenty of room in bedroom or living room for a blow up mattress, sleeping bags, play pen or crib. Stocked bookshelf, board games, children's DVD's, coloring books and crayons. Central A/C, and sleeps up to 6 people, with 2 Queen Beds, and 1 Queen Sleeper sofa. We invite you and your family to make wonderful "School Street Memories" at The Bradford House. Coco Banana is spacious and bright. You will love the nine foot ceilings and open layout. Relax outside on the beautiful screened-in deck or feel like a pampered chef in the kitchen with granite countertops and island. Enjoy all the conveniences of home while still on Island time. Coco Banana sits on a quiet street, yet is just a short walk to the quaint shops and restaurants of downtown Main Street. It features 2 bedrooms and 2 full baths, central heat and air and sleeps up to 6 people with 2 queen beds and 2 double futons. Have fun using the large outdoor shower where the water never gets cold! Coco Banana's tropical feeling is ap-peeling! stay and leave feeling "as fresh as a daisy". Eagle's View is a 4 bedroom, 3 1/2 bath, centrally air conditioned, Waterfront home that sleeps up to 11 people with 2 queen, 1 double, 1 single, and 4 twin beds, and is the perfect location for the nature lovers in your family. Wake up to beautiful sunrises, and spend lazy summer days enjoying the many kinds of birds, the frequent views of the ponies, and of course the gorgeous view of the lighthouse. Enjoy fishing, crabbing or boating from the private lighted dock that is also the perfect place for stargazing. There are plenty of outdoor living areas for family gatherings, curling up with a good book, or enjoying the cool, salt air breezes. Come and enjoy the relaxation, peacefulness and tranquility that can be found at this gorgeous waterfront home. Beautiful sunrises, nature, and relaxation await you at Eagle's View. 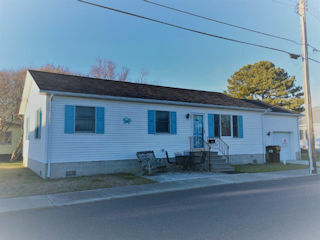 Gingoteague, "Beautiful Land Across the Water", is a 4 bedroom, 2 full bath, central air conditioned home nestled in the heart of Chincoteague, within walking distance of Maddox Blvd. and Main Street that sleeps up to 8 people with 2 Queen, 1 Full & 2 Twin Beds. This beautifully decorated, newly remodeled, and comfortably furnished home offers large shaded back yard with fire pit, sunroom, spacious kitchen, and much more. We invite you to explore, and enjoy this beautiful land across the water at Gingoteague. The Half Shell is a bright and airy family retreat nestled in a quiet neighborhood with a large yard, 3 bedrooms, 1 1/2 baths, outdoor hot/cold shower, central air, and is located just a few minutes away from a town dock with easy access for kayaking, canoeing, and boating. The Half Shell sleeps up to 8 people with 1 Queen, 1 Double, 2 Twin (bunk beds), and a Queen Futon. The Half Shell is a peaceful place for you to call home as you explore the beauties of Chincoteague and Assateague Islands. Homeport is a comfortable, inviting, 2 bedroom, 1 bathroom, centrally air conditioned home that sleeps up to 6 people with 1 Queen , 2 Twin, & one Queen Sleeper Sofa. This home is located on a quiet street within a short walk to town for shopping, dining, and much more. Enjoy spending time on the back deck, screened porch, or in the nice sized yard. We invite you to come and enjoy a memorable vacation, and to make this your island Homeport. "The Honeymooner" is a charming, 1 bedroom, 1 bath, centrally air conditioned, waterfront home that sleeps up to 2 people with 1 King Bed. The Beautiful unobstructed view of the waterfront, sunsets, and the moon shining over the water makes this the perfect location for a Romantic Honeymoon, or Couples Getaway. Newly remodeled, and beautifully decorated, this home is sure to be the perfect location for your Island Vacation. We invite you and your sweetheart to come and enjoy your stay at "The Honeymooner". 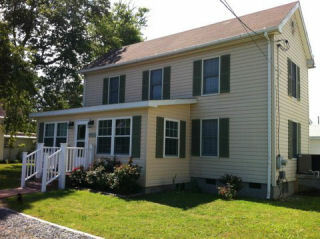 Island Time is an relaxing and inviting 3 bedroom, 2 full bath, central air conditioned home, that sleeps up to 6 people with 1 Queen, 1 Double, and 2 Twin Beds, and is centrally located for easy walks or bike rides to gift shops, ice cream parlors, restaurants, and the Robert Reed Downtown Park located along Main Street. We invite you to spend your week at this charming Island Retreat, and set your clocks to Island Time. Joshua B. Jones Homeplace is a historic waterman's 19th century Victorian home. The home has been renovated but still has the beauty and charm of the original home. 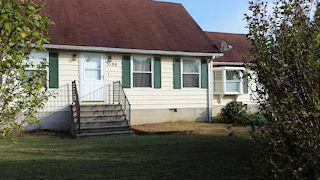 The home is located on Main Street and is within walking distance of of town to visit restaurants, movie theater and all the quaint craft and antique shops of Chincoteague Island. Joy's House is a Charming, 2 bedroom, 2 1/2 bath, Chincoteague Style, waterfront home with stunning views of the Chincoteague Channel. 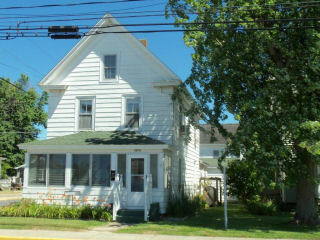 This home is warm and welcoming, and will sleep up to 6 people with 1 king, and 4 twin beds. Enjoy crabbing or fishing just across the street, or unwind from a busy day on the screened porch with a refreshing glass of ice tea. Gorgeous sunsets are included! This home is located close to the Curtis Merritt Harbor. 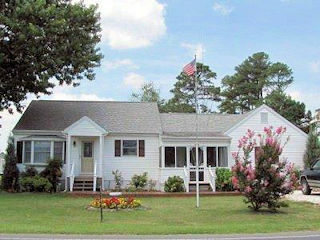 We invite you to come and spend a memorable Chincoteague Island Vacation at Joy's House. Leah's House is a 2 bedroom, 1 Full bath, central air conditioned, newly updated, pet friendly home with large fenced yard and screened patio, that sleeps up to 8 people, and is located within easy walking distance to Memorial Park and the Carnival Grounds. 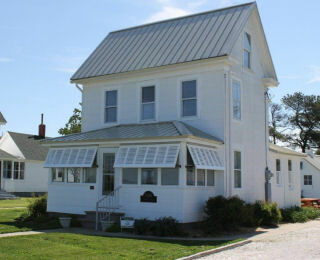 We invite you to come and enjoy long summer evenings, and a memorable Chincoteague Island Vacation at Leah's House. 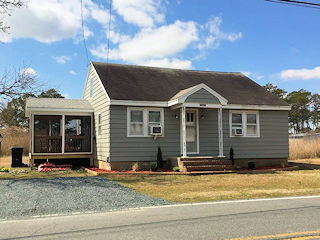 Melva's Place a warm and inviting, 2 bedroom, 1 bath, central air conditioned home, located in the heart of Chincoteague, that sleeps up to 6 people with 1 Double, 2 Twin, and I Queen Sleeper Sofa. This retreat offers a large back yard and screen porch, and is the perfect place for picnics, reading, or just relaxing. Just short walk away, you can explore Historic Downtown Chincoteague, The Robert Reed Downtown Park, and the many shops, ice cream parlors, restaurants, and activities that the island has to offer. We invite you and your family to make Melva's Place your Chincoteague Island Retreat. My Tern is a charming, traditional, island home, that sleeps up to 7 people with 1 King, 2 Double & 1 Twin Bed, and is located in Historic Downtown Chincoteague, and offers easy walking to gift shops, galleries, restaurants, grocery stores, churches, library, the movie theater, Robert Reed Downtown Park, carnival grounds, boating, fishing and much more. We invite you to take your turn for a relaxing island vacation at My Tern. The Moorings South is a four bedroom, four bathroom, central air conditioned, luxury style vacation rental that sleeps up to eight people, and is nestled directly on the deep water of the Chincoteague Channel and overlooks the beautiful waters of the Chincoteague Bay. Enjoy breathtaking views of the sunset from the main living/kitchen/dining areas or from the "Gazebo in the sky". This beautiful home is located within easy walking distance of cafes, coffee shops, restaurants, ice cream parlors, parks, historic downtown district, walking trails, and much more. We invite you to make Moorings South your luxurious vacation destination. Our Sanctuary is a water view townhome that offers 2 bedrooms, 21/2 baths, central air conditioning and a nicely equipped kitchen. It sleeps up to six (6) people with 1 Queen, 3 Twin, and 1 Queen Sleeper Sofa. Enjoy views of the sunset and watch the boats as they leave and enter Chincoteague channel from the deck or the second floor balcony. This home has a nice backyard that leads to the shared dock where you can try your luck at crabbing with the cages that are provided. We invite you to come and enjoy some much needed relaxation and make this your Chincoteague Island Sanctuary. Oyster Catcher is a spacious, light and airy, 3 bedroom, central air conditioned duplex, with beautiful views of the sunset from the front porch, that sleeps up to eight people with 2 Queen beds, 1 Queen Sleep Sofa, and a Bunk Bed ( 1 Double & 1 Twin). 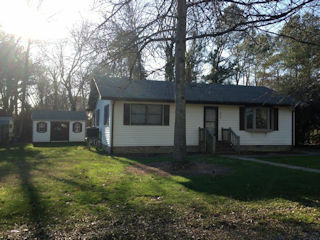 Located just off of Main Street this home is just a short walk from town, or the nature trails that are located on Chincoteague. We invite you to come and enjoy leisurely evenings in the large screen porch, and to make this your Chincoteague Island Retreat. 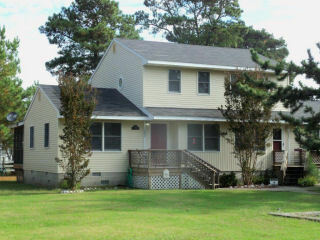 Paradise By The Lighthouse is a duplex located on the eastside of Chincoteague just off the bank of Assateague Channel. Enjoy watching the wild ponies from your balcony and experience the wonderful breezes and breathe taking views of Assateague Island and the historic Lighthouse. You are within a stone's throw of the town boat ramp right across the street and within a couple of blocks of Memorial Park which has a play ground, tennis courts and public pier for fishing & crabbing. 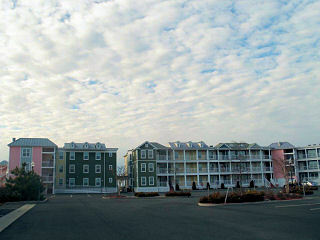 It is within walking distance of shops, boat rentals, restaurants, seafood & vegetable stand and much more. There is off street parking at the house for three vehicles. Peter's House is situated in the Piney Island area. 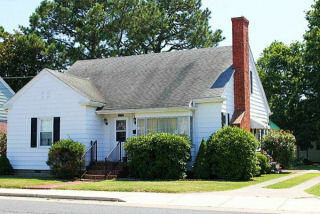 It is within 1/2 mile of Maddox Blvd., the road to Assateague Island and the beach. It is very convenient to and within walking distance of shops, restaurants, miniature golf and much more. Recently built, this 2 bedroom/1 bath home is centrally air conditioned and is fully furnished with everything necessary for comfortable leisure living. Pier Pleasure is a waterfront, centrally air conditioned duplex located on the eastern side of Chincoteague Island overlooking Assateague Island and the Assateague Channel. This home sleeps up to six (6) people with 1 King, 1 Queen, and 2 Twin beds. Enjoy expansive views of the Chincoteague National Wildlife Refuge at Assateague Island. On most days you can view distant grazing ponies while overlooking Assateague Channel and Horse Marsh. One hundred fifty yards of natural salt marsh between Pier Pleasure and Assateague Channel provide natural cover and nesting areas for birds, turtles, crabs, fish and waterfowl. We invite you to enjoy a pleasurable vacation at Pier Pleasure. Pier Pressure On Chincoteague Bay is a luxurious townhome nestled along the banks of Chincoteague Bay with views of spectacular sunsets. 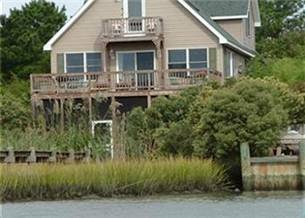 The Chincoteague channel affords abundant crabbing from the dock and wildlife observation from the multiple decks. The dock/pier provides access to the water & a shared pool at the motel across the street are just a couple of the amenities that this beautiful home offers. This townhome is located right across the street from the carnival grounds, and is within walking distance of Historic Downtown Chincoteague. Rachel's Retreat is Waterfront Relaxation at its finest, with gorgeous views of sunsets, balcony to enjoy the cool salt breezes, and Master Bedroom and living room overlooking the waterfront. 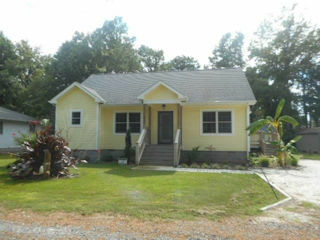 This beautiful, 2 bedroom, 2 bath, with private den, central air conditioned villa is conveniently located within walking distance to town, shops, restaurants, ice cream parlor, bakery, Robert Reed Park, the carnival grounds, and much more, and sleeps up to 6 people with 1 King, 1 Queen, and 1 Queen Sleeper Sofa (in den). We invite you and your family to enjoy a memorable Chincoteague Island Vacation at Rachel's Retreat. If you rent here once, you'll want to come back! We invite you to spend some "Reel Time" with family & friends at this inviting island home. Located close to Memorial Park, Pony Swim, and Curtis Merritt Harbour this comfortable, 3 bedroom, 3 full bath, central air conditioned home with large yard & back deck is the perfect spot for your next island vacation. Reel Time Retreat sleeps up to 6 people with 1 King, 1 Queen & 2 Twin beds. Sand and Sea-renity is a charming, calming, and relaxing, 4 bedroom, 3 and a half bath, central air conditioned home, that sleeps up to 8 people with 3 queen, and one day bed that can be used as 2 Twins or 1 King. Tucked away on a quiet cul-de-sac in Oyster Bay II, and decorated with the tranquil colors of the sand and sea, this beautiful waterfront home is the perfect location for a peaceful vacation. Newly added a Rapid Electric Car Charger Outlet compatible with Tesla and other EV models. Shoes Off is an adorable 2 bedroom, 1 1/2 bath, central air conditioned town home located on a cul-de-sac, adjacent to Maddox Blvd., that sleeps up to 5 people with 1 Queen, 2 Twin, and a Childs Chair Bed. Located close to the Assateague Wildlife Refuge, golf courses, restaurants, shopping and much more, this is sure to be the perfect Chincoteague Island Vacation Destination. We invite you and your family to kick your shoes off, and relax at this Adorable Island Retreat. Your Memorable Island Vacation starts where the Sidewalk Ends. Sidewalk's End is an adorable, 2 bedroom, 1 1/2 bath, central air conditioned cottage located in town for summer evenings spent strolling, shopping, playing miniature golf, exploring the many restaurants, and of course the ice cream parlors. We invite you kick off your shoes, relax, and enjoy spending time with family and friends at Sidewalk's End. Silver Thatch is a wonderful place to enjoy a Peaceful Island Getaway. Enjoy family gatherings on the spacious deck or curl up with a good book in the screened in living area. Silver Thatch is a beautifully decorated 4 bedroom / 2 bathroom home located close to the Assateague Island National Wildlife Refuge in the "Beach Community" of Piney Island. 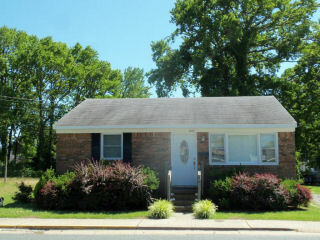 This home is in a great location for easy bicycling or walking to Assateague Island. Silver Thatch is also within walking distance of many restaurants, unique gift shops, miniature golf courses and much more. Sunset View is a breathtaking 3 bedroom / 2 bathroom Beautiful Island Getaway with open views of the sunset. This Sunset Bay Villa is located near town for easy walking to the unique shops, restaurants, carnival grounds and the beautiful Robert Reed Downtown Park. Enjoy peaceful evenings together watching the sunset on the deck or by the pool. Come and enjoy your Peaceful Island Getaway! Relax and Unwind at Surf and Turf. Nestled on a quiet street just one block off Main, watch the ponies parade by on their way to the Carnival Grounds only a half mile away! See the Fourth of July Fireworks from the front steps! Come Vacation! Surf and Turf is a comfortable and inviting 3 bedroom, 2 1/2 bath centrally air conditioned home that sleeps up to six (6) people with 1 King, 1 Queen, and 2 Twin beds. We invite you to come and enjoy all that the sea and land offer at this one of a kind Island Retreat. Tranquility is peacefulness, serenity, and relaxation at your fingertips. This calming 3 bedroom, 2 full bath, beautifully decorated, central air conditioned villa, sleeps up to 6 guests with 1 king, 1 Queen bed, and 2 twin beds. Conveniently located within walking distance of downtown, Robert Reed Park, restaurants, gift shops, bakery, ice cream parlor, library, carnival grounds and much more, Tranquility, is the perfect place to spend a memorable, and enjoyable get away. We invite you to enjoy a Tranquil Island Vacation!